It was just one year ago that the music world lost one of it’s most precious gems on the eve of it’s biggest night. Whitney Houston is inarguably one of the larger than life figures to define American culture, and not just its sound. She is part of the pattern that weaves the voice of our time. Many of us will one day look back on where we were when we heard of her death, as with Michael Jackson. These events are etched in our minds almost as profoundly as those episodes that define our very existence as a society. It is a sentiment that nearly mimics our response to 911, and even the election of America’s first black president Barack Obama. As great an icon as she is, the recognition of Whitney Houston’s legacy raises compelling questions. The media has signaled mixed emotions when it concerns her story. One one hand, we recall the beautiful brown face that supplanted her angelic voice. On the other hand, we cannot escape the images of a woman torn between her faith and interminable demons, ones that took their toll during her last days. We have a very colorful and complex understanding of Whitney’s life, and it is one that makes her overall legacy somewhat of an anomaly. One cannot begin to contain it in a single setting, yet it is worth us considering how we define her iconic status. What stands out most amongst the hoopla surrounding her final moments is the incredible coincidence that her body lay lifeless just a few flights up from the 2012 Clive Davis Grammy Party. Some have expressed outrage over the decision her mogul-mentor made to continue the event amidst Whitney’s shocking and sudden death. Music heavyweights like Chaka Khan and even Houston’s own mother Cissy considered the act ‘disrespectful’. It’s just one in a series of several that may have derailed the artist to contribute to her untimely demise. Is an endless quest for respect, one that could never be adequately fulfilled, the root of blame when it concerns the songbird’s downward spiral? Meteoric episodes stand out in our minds. 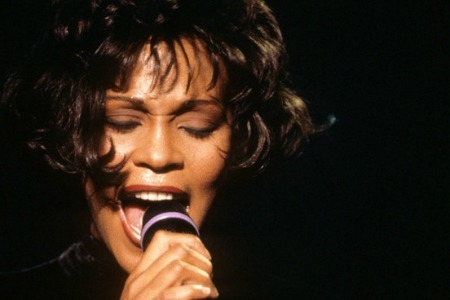 From her tumultuous relationship with Bobby Brown to her struggle with addiction, and even the eventual decline of her voice, Whitney became the center of public scrutiny. How can such a level of chastisement not begin to affect one’s mindset? Even if you’re trying to do ‘right’, the pressure to please others in the face of constant disapproval grows to be a tremendous burden. We are all victims of that fact, and individuals in the public eye experience it to a level that others cannot fathom. Did Whitney suffer the same fate for similar reasons as one of her most well known musical cohorts, the King of Pop? What lesson must we gain away from how our two biggest, brighter stars went out? Alone, isolated, unhappy, and in the throes of addiction. Such a mental image is sure to send shock waves through your body. There is a great deal to be learned from Whitney Houston’s legacy. While it’s clear that all cannot be contained to one general statement, one thing’s for sure. There’s a truly ugly side to fame, one than cannot be escaped even in death. The memories we have of our beloved might be tainted by the gloomy side of things. Yet, we choose how we remember. No matter how the media tries to alter those images in our minds, it’s up to use to preserve and protect the moments forever etched in our hearts. Some things cannot be taken away from us, and how we chose to recount the stories of our legends is one of them.